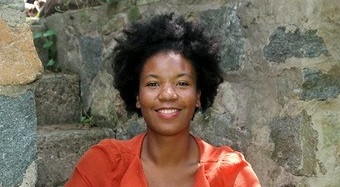 ALEI welcomes its new Program Coordinator, Kimberly Johnson. According to Johnson, it was her mother and divine intervention that facilitated her interviewing for the position. She hopes to gain experience as a program coordinator in her new university position. Before joining the ALEI team, Johnson had limited experience with the farming community. In 2014, Johnson earned her bachelor’s degree in psychology from University of Maryland University College. She currently attends the Maryland University of Integrative Health, located in Laurel, Maryland and is earning a master’s in health promotion with a concentration in community health education. Johnson began her master’s program in fall 2016. “I want to be a part of managing a program that works directly with the community, and directly supports the community,” said Johnson. In the past, she has worked in the education field, for several nonprofits, and in community advocacy. Johnson has also served as a legal assistant and paralegal for the U.S. Attorney’s Office for the District of Maryland’s civil department, but she wanted to enlarge her focus to work more in public service in a different way. She has previously worked for DC VOICE, an education advocacy organization, beginning as an intern and later working as a community outreach specialist. Her work included research, community engagement, and community outreach. The nonprofit organization researched community education equality in the district by interviewing public school principals to determine how prepared they were for each school year and then disseminates their results to the community and policymakers.